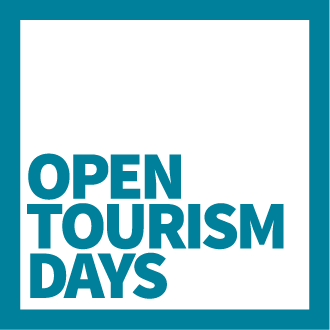 During Open Tourism Days five stakeholders will present cases that are based on the challenges they experience in the world of digital tourism. The cases are published here, and wil be further presented at the kick-off of Open Tourism Days Friday the 5th may. Tourism in Denmark is concentrated in the high season, with the busiest period in July and August. However, VisitDenmark has a strong focus on increasing tourism growth either side of the high season (April – June and September – October). Using data, how can Denmark be made an attractive destination outside the high season? There is somewhat unpredictable summer weather in Denmark, which means that we have rainy summer days. People visiting Denmark to stay in a summer house have typically booked their holiday many months in advance, and can only hope for good weather. How can a tourist find the best possible attractions and experiences that suit the weather forecast for their vacation? Tourists have a complicated relationship with areas with many other tourists. On the one hand, it is desirable to visit the iconic attractions and get the perfect pictures But on the other hand, a tourist also wants to avoid these areas, in favor of exploring the city to get the unique local experience. How can tourists be inspired to find alternative experiences to the traditional? And can they be guided to discover other attractions in the rest of the Capital Region? Tourists are increasingly broadcasting their experiences on social media, through pictures, videos and text. They use social media to directly and indirectly review destinations and express their feelings and experiences at a destination. How can the tourist’s posts on social media be used to improve tourist experience? How can we connect knowledge about tourist attractions and cultural interests, with other businesses such as restaurants, hotels and shops, and thereby give tourists the best possible experience? Tourists tend to visit either the Capital Region, or certain attractions in Frederiksberg. They don’t get the full local experience that tourists are increasingly demanding. How can we attract more tourists to Frederiksberg? How can tourists visiting Frederiksberg get the full local experience?